"LAWN and SHORT OF IT" has been providing Residential and Commercial Lawn Care Services for 16 years.in the Columbiana, Ohio and surrounding region. Owned and operated by Wayne A. Finley , "quality is our pride and service is our speciality". We provide complete landscaping, brick patios, retaining walls, a 5-6 step fertilizing program, complete lawn installation and weekly mowing, trimming and edging at reasonable, competitive and scalable prices to suit your budget. We are a Certified UNILOCK Installer. "Whatever your tastes, whatever your vision. whatever your dream outdoor living space might be, no one gives you the ability to realize it like UNILOCK " with Elegance® Pavers, Textured Pavers, Standard Pavers and Walls. 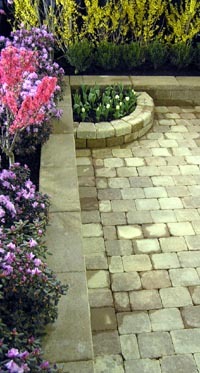 Our goal is to work with you in providing unique landscape design ideas using quality products.